Omnia Dental Membership Plan is an annual membership plan that allows individuals and families who don’t have dental insurance to receive quality dental care at a reduced cost. Walk-Ins welcome. This program is an in-office discount plan, not a dental insurance plan. This plan is non-refundable and non-transferrable. No refunds or premiums will be issued at any time if participant decides not to utilize their dental membership. The 12 month membership is due in full upon joining. Membership is effective on the day on which payment is received. Payment is due when services are rendered. It is the sole responsibility of the member to maximize benefits by arranging the appropriate appointments within the 12 months membership period. If the appointments are not used, the member will not be entitled to a refund. Renewal payment is due the beginning of the same month of original joining each year. Membership rates may be reviewed and adjusted on an annual basis with notification. Membership plan excludes Pano and Cone Beam X-Rays. You will not receive a membership card – your plans effective date will be on file with our office. This program cannot be used in conjunction with another dental plan or offer, for services covered under worker compensation, for treatment which lies outside the realm of the dentist capability, for referrals to specialists, for hospitalization or hospital charges, for cost of dental care which is covered under auto medical. 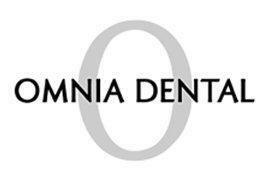 This plan is only covered at Omnia Dental Care. It can not be used at any other office.